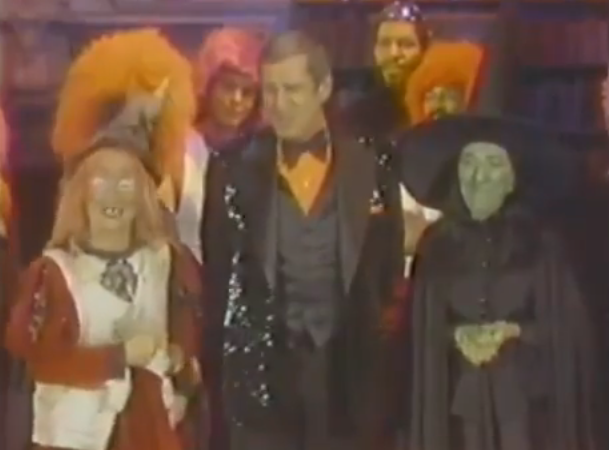 I assure you that there is absolutely nothing quite as wonderfully awful as the fetid, foppish, phoniness of The Paul Lynde Halloween Special, which ABC brewed in a low-budget cauldron and unleashed upon an unsuspecting world on October 29, 1976. 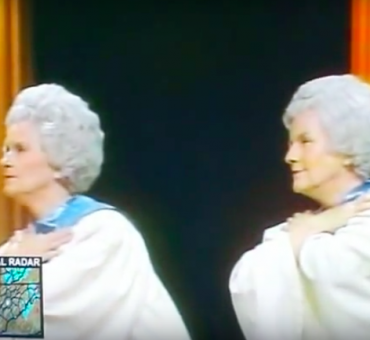 Though its production values were wanting, the network compensated by hauling out a “Who’s Who” of pop culture circa 1976: Betty White; Donny and Marie Osmond; KISS; Billie Hayes (Witchipoo from H.R. Pufnstuf); Tim Conway; Roz “Pinky Tuscadero” Kelly from Happy Days (for the sake of clarity, that is exactly how she is billed); Margaret Hamilton; and the great Florence Henderson. 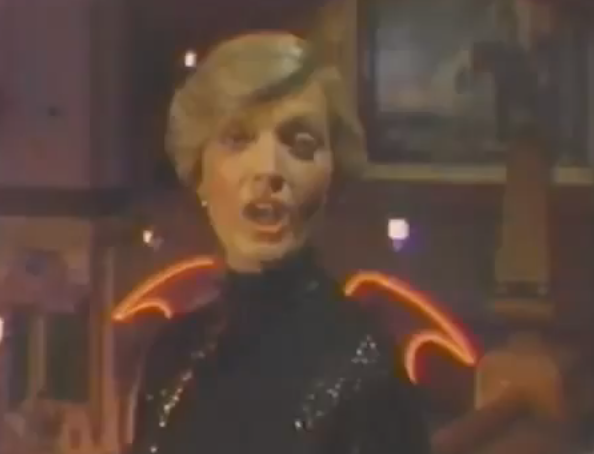 America’s Mother, Florence Henderson, was never more bewitching than on the Paul Lynde Halloween Special. Though virtually no Bicentennial-year fad is left out, what did get omitted is anything resembling a good script (no less than ten writers are credited here, including Bruce Vilanch, who is most certainly responsible for writing the two lonely jokes that are actually funny). There is a whole plastic pumpkin full of convoluted plotting which I will spare you—none of it good. It doesn’t really matter if the jokes work anyway because, in true 1970s variety show style, the good folks at ABC compensate by pressing the laugh track’s pedal to the metal so hard it feels like they’re wearing Gene Simmons‘ boots. It’s all quite dreadful and, for Stargayzing readers, completely essential viewing. For all of this I am, indeed, very grateful. Though it hurt my heart to see Margaret Hamilton forced back into her Wicked Witch of the West drag (one can only imagine that by 1976 Miss Hamilton was pressed for cash), the cognitive dissonance of hearing her introduce KISS is very enjoyable. Speaking of KISS, they perform several songs, one of which was “Beth,” their then-current Top-10 hit. It obviously hurt Gene Simmons’s and Paul Stanley’s hearts to watch drummer Peter Criss give a solo performance on network TV without them, but Paul and Gene had a solution: in the song’s final moments, the rest of the band walks on to the set and surrounds Peter Criss at the piano. They do this for absolutely no reason except to share his laugh track-applause for something they had nothing to do with and remind viewers that even though Criss may have written and performed their biggest hit, KISS belonged to Paul and Gene. 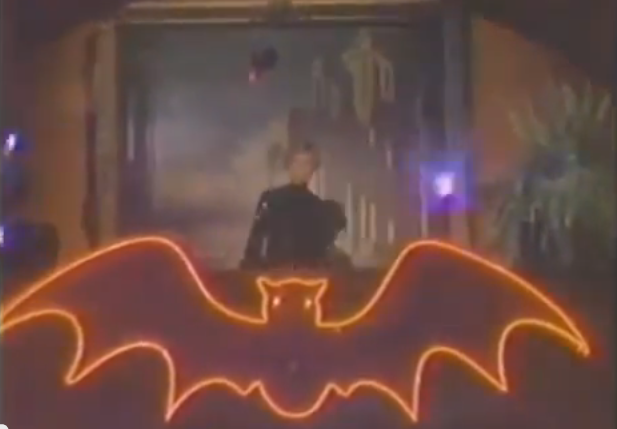 After enduring multiple celebrity cameos and oddities like Lynde and Tim Conway’s highly realistic skit as a pair of truckers talking on their CB radios, you will have earned what I feel is the show’s greatest moment: Florence Henderson’s spirited disco version of Harold Arlen and Johnny Mercer’s 1942 standard “That Old Black Magic.” Attired in a reptilian black, sequined gown, Flo brings her customary I’m-up-for-anything-enthusiasm to the proceedings, as well as a fierce side-parted Dorothy Hamill wedge haircut. By this late point, the fact that Henderson’s lovely legit soprano—so very ill-suited for disco music—feels like a B12 shot for the show, is indicative of just how turgid The Paul Lynde Halloween Special really is. The hypnotic “That Old Black Magic” sequence may inspire you do the Bus Stop through gales of laughter, because Halloween will never look or sound like this again. Addendum: the world lost Florence Henderson on November 24, 2016. 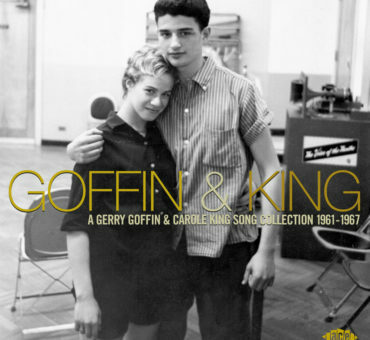 I was heartened by the heavy press attention her passing received, especially from television outlets. It was touching to see how many people remembered her and how she truly represented a maternal ideal to millions of people. Twins Stella and Ella Interpret "Silent Night"